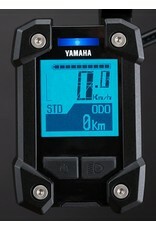 CrossCore is designed around Yamaha’s outstanding PWSeries SE center mount drive unit. 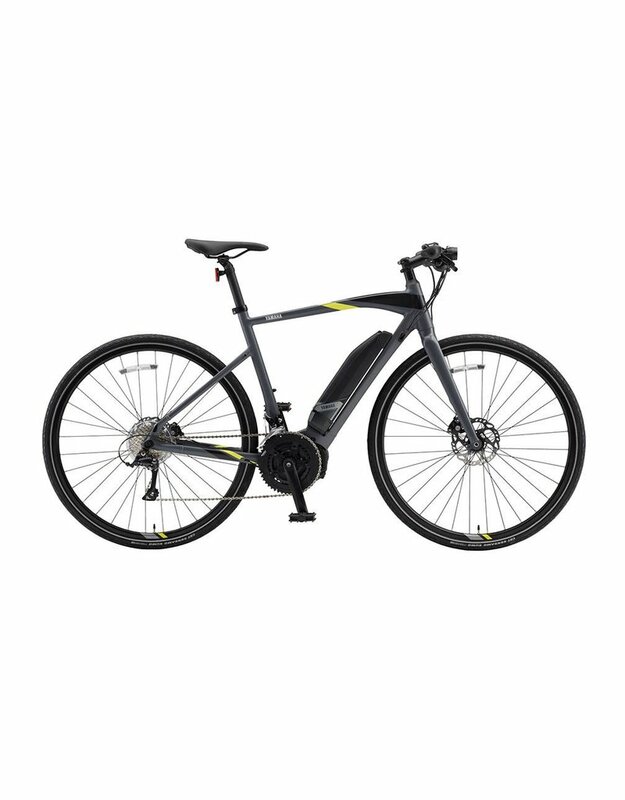 Integrated to the bottom bracket, the drive unit provides a low center of gravity for exceptional handling. Four levels of smooth, powerful assist deliver a ride experience the feels natural and organic. Yamaha’s 500 Watt-hour Lithium-ion battery pack provides reliable & long lasting energy to power your rides. 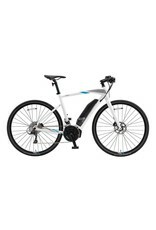 When it’s time to replenish, you can charge the battery pack on or off CrossCore using the Yamaha high speed charger. 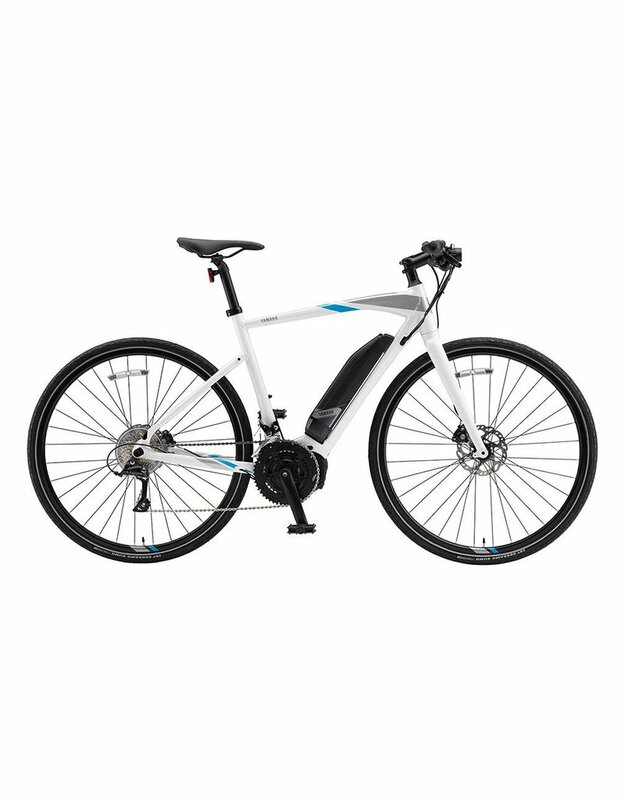 Yamaha’s unique side docking battery mount allows for a frame design with a lower stand-over height. 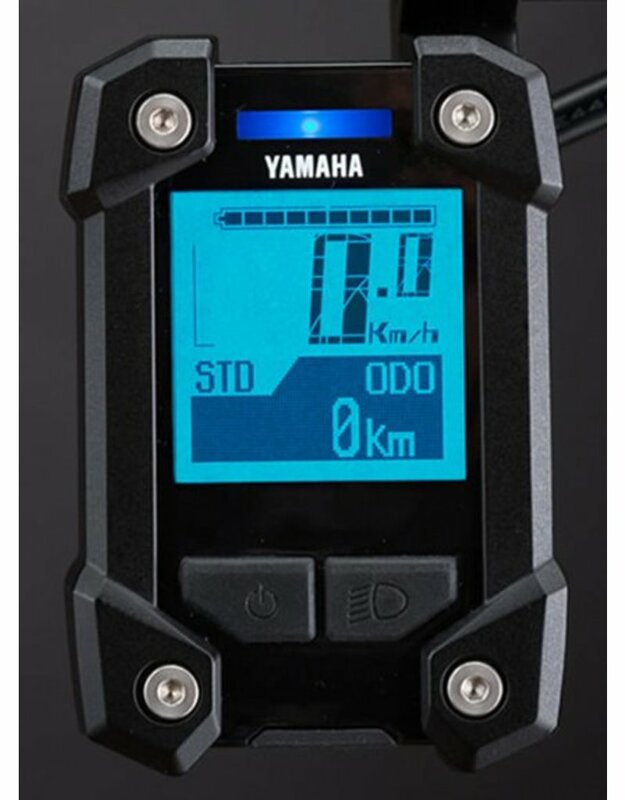 Exclusive to Yamaha Power Assist Bicycles is a speed sensor engineered into the rear hub. Clean, out of sight and protected with no spoke mounted magnets to worry about. Our speed sensor recognizes the slightest change in bicycle speed and helps adjust motor input to deliver a smooth and natural power assist feel for the ultimate ride experience. The LCD multi-function display is compact and loaded with features. The color-coded LED assist level indicator is easy to see at a glance. 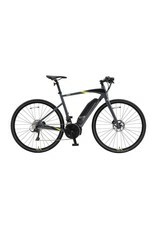 The main LCD interface allows you to choose from a full suite of functions; Speedometer, average speed, maximum speed, odometer, trip meter, battery capacity, battery range, cadence, clock and stopwatch. We didn’t forget the USB power supply port and Bluetooth® connectivity to complete the package. Shimano Sora mechanical disc brakes with 160mm center lock rotors provide strong, dependable braking in all conditions. Shimano Sora front derailleur and the double chainring (50/34T) offer quick shifting with optimum gear range. CrossCore is equipped with a powerful LED headlight to help guide the way. The headlight’s on/off button is built into CrossCore’s multi-function display housing for easy access while riding.